You are here: Home » FAN-ATICS » Superheroes » The Boys (superhero trailer: coming to Amazon Prime). 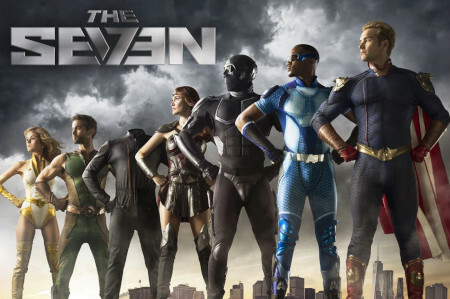 The Boys (superhero trailer: coming to Amazon Prime). Garth Ennis finally gets to port a TV Seth Rogen-developed adaption of his grimdark superhero comic-strip, The Boys, to Amazon Prime’s viewers. A bunch of normal vigilantes fight to bring down corrupted super-powered Capes, in a realistic world where celebrity mega-stardom and corporate sponsorship has more to do with being a Cape than actually saving the world and fighting any evil. The release date is still Summer 2019 sometime. « Alter Ego #156 January 2019 (magazine review).